Qwickly Attendance is the newest and one of the most powerful attendance platforms for Blackboard Learn. 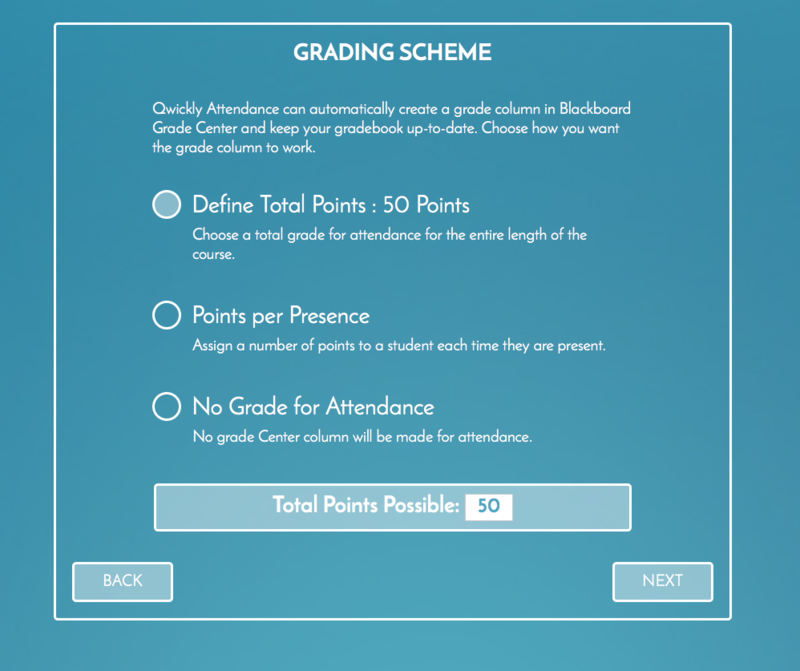 Qwickly Attendance enables teachers to take attendance that is automatically graded in the Blackboard Learn Grade Center and allows a variety of student check-in and card swipe options. Qwickly Attendance is the newest and one of the most powerful attendance platforms for Blackboard Learn. Instructors can take the pain out of tracking and grading student attendance. Qwickly Attendance enables teachers to take attendance that is automatically graded in the Blackboard Learn Grade Center and allows a variety of student check-in and card swipe options. 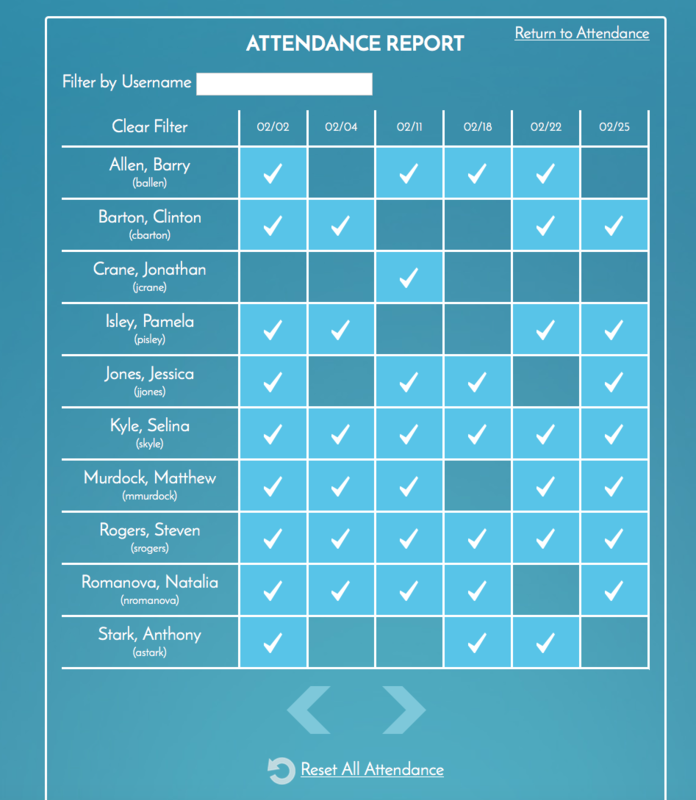 Qwickly Attendance automatically creates a gradebook column and keeps a running grade for each class. Instructors can either assign a total number of points for the whole semester or define a number of points for each time attendance is taken. Qwickly Attendance offers multiple attendance styles. Instructors can see and work down a list of all students or have Qwickly Attendance show one student at a time as they call names. Instructors can also allow students to check-in to class on their own devices. Most recent enhancements include a countdown timer and a specific code that students need to enter to get credit for being present, and now, students can be marked present when they swipe their IDs. Further, a wide variety of student check-in allows instructors to skip manually taking attendance and gives students credit for being in class. Online schools and programs will benefit as students can use the product as a proactive attendance tracker. 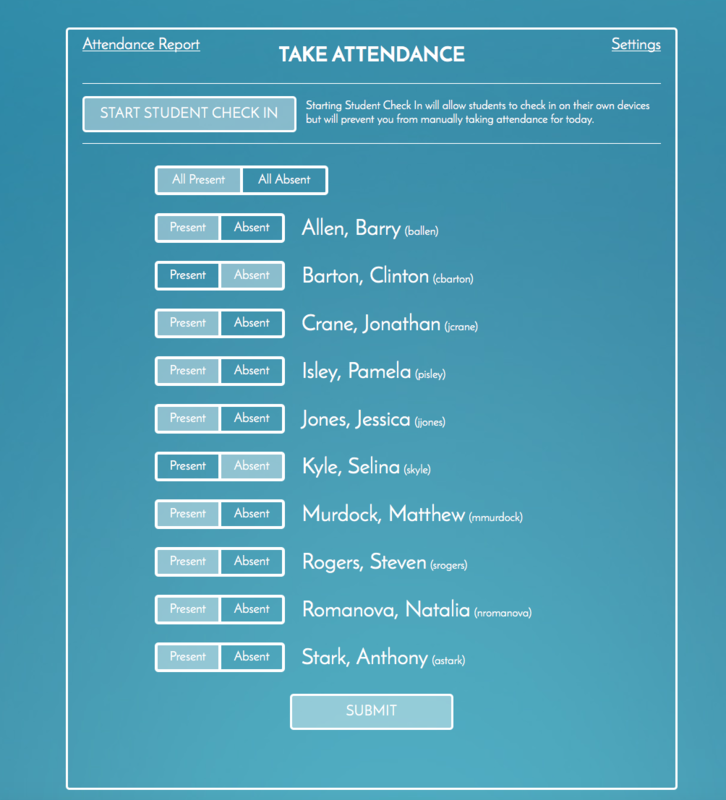 Qwickly Attendance can send an email to students when they are marked as absent for the day. It provides students with acknowledgement they were missed in class and provides a way to cross reference their attendance score. Qwickly Attendance stores all attendance data on your Blackboard Learn server. Data is not stored on a remote server, nor are attendance records ever transmitted off the Blackboard server. Qwickly Attendance is available today and requires installation of the Qwickly Platform Building Block in Blackboard Learn. This free building block also provides a multi-course communication module, but you are not required to use the module. Qwickly Attendance requires version 3.1 or greater of the Qwickly Building block, which can be downloaded at http://www.goqwickly.com. Qwickly, Inc. is a user-centered productivity platform for learning management systems, connecting them to cloud storage providers, and creating a product that connects students and teachers to the system’s most utilized tools. Founded in 2013 by John DiGennaro and Matt Hadgis, Qwickly has over 400 clients around the world. Qwickly has reduced help desk tickets at client institutions and increased cloud drive adoption. Qwickly is an be customized to fit the needs of each educational institution, and is designed to dramatically simplify the workflow of common tasks within learning management systems. Qwickly is a 2014 Flashstarts accelerator company and is currently seeking additional funding to re-think the enterprise cloud storage and learning space. Flashstarts is the agile startup accelerator focusing on unique, innovative uses of software and technology. Visit http://www.flashstarts.com for more information. For more information on Qwickly, visit http://www.goqwickly.com. Qwickly is a licensed developer for Google, Dropbox, Box and Microsoft, and is an official Blackboard Building Blocks Partner™ and part of the Blackboard Developers Network ™ . Blackboard®, Blackboard Partnerships™ Program, the Blackboard Developers Network™, and Blackboard Building Blocks™ are registered trademarks of Blackboard Inc. and are used with permission. All rights reserved.